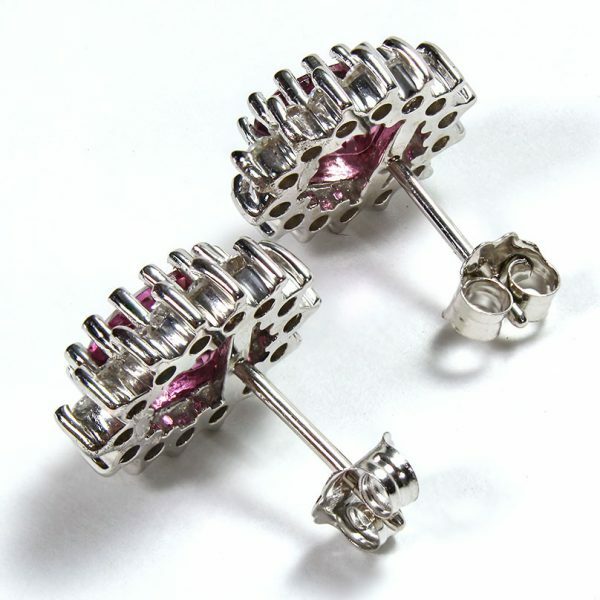 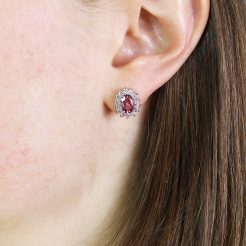 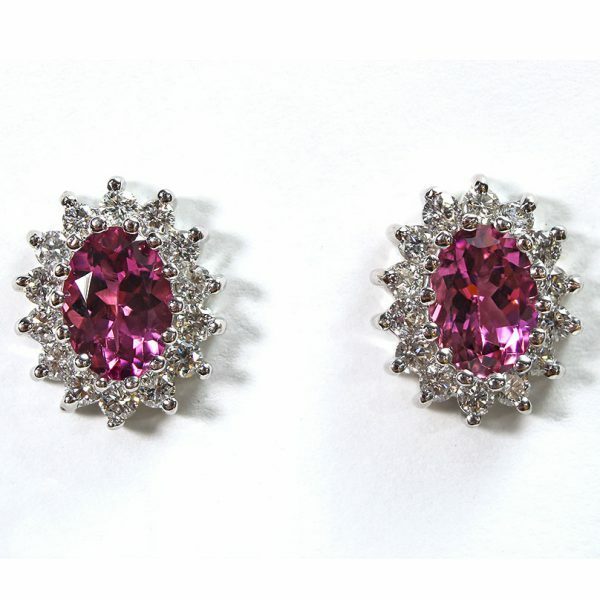 Stunning Pink Tourmaline meets the beauty of White Diamonds in these stud Earrings. 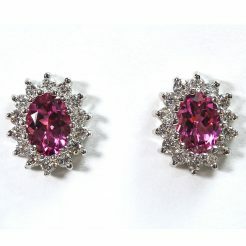 The Tourmaline are excellent in gem color and gem quality. 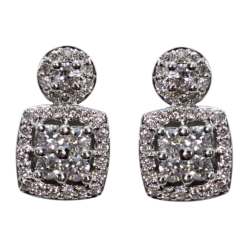 The Diamonds are “G-H’ in color and “VS” in clarity.